Established in 1921, Bell Ogilvy has continued to build on our enviable reputation for providing excellent advice and first class client service to our business and personal clients alike. We have many clients in the local community and service both small and large businesses across many sectors including, farming and agriculture, the professions, the service sector, the construction industry, manufacturers and retailers. 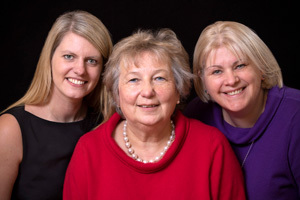 Our 3 partners, Eileen Tweedie TD BAcc CA, Elisabeth Gray MA CA and Eilidh Harman BA(Hons) CA are assisted by our office manager, Ian McBride and approximately 20 staff each with individual specialist skills. With our wealth of experience, we pride ourselves on delivering an unparalleled service to all our clients whatever their size or sector.